I am writing today about a terrific actor who deserves special mention: Omar Sy. Having spent nearly 13 hours and 31 minutes researching (viewing his films) I feel confident saying that he is one of the greats. In 2012, he won France’s “most prestigious acting award, the Cesar” for his role in Intouchables. According to Information Cradle, “he is the first recipient of African descent to win the César Award” (I believe it is in the same league as winning an Oscar). Sy comes from a large family, the fourth of eight children born to West-African immigrants who settled in France. He grew up in low-income housing projects but made his way to the big time, forming a comedy duo with Fred Testot not long after graduating from high school. Intouchables was his break-out role. 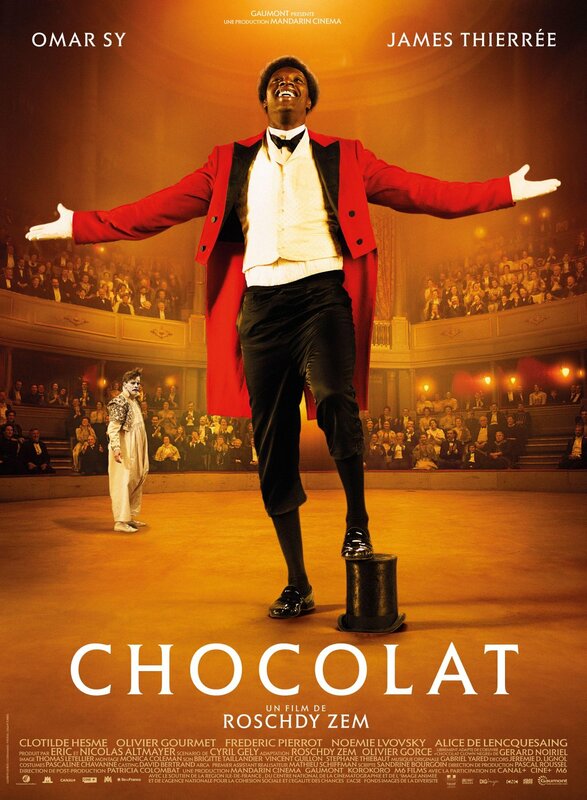 Set in the late 1800s, Chocolat is the story of the first Black circus performer in France. It is based on the book Chocolat, clown nègre. L’histoire oubliée du premier artiste noir de la scène française by Gérard Noiriel (which in turn is based on the real life of Rafael Padilla). For his role as Chocolat, Sy won Best Actor at the Globe de Cristal Awards. Given that Sy got his start as a comedian, and given his impressive emotional range on screen, I imagine he must have been an easy choice for the part. The film certainly has its ups and downs, but then, I noticed that this was sort if a trend with Sy’s films: they are extraordinarily multidimensional. You’ll see what I mean as we go on. This movie is just a little bit ingenious. It slowly gets smaller and duller—literally more monochrome—with such stealth that by the time it’s too late, well, it’s too late! Sy plays a smaller but extremely delightful role as Nicolas (chef, best friend and financial advisor). All I can say is that the optimist in me was not prepared for the eventual turn of events. I can now look back and see a more humorous aspect to all of this (even the grimmest bits), but at the time it was quite shocking! One of the best of the bunch, Sy plays a man named Samba who is attempting to immigrate to France. He is faced with hardships galore, and is forced to leave a steady job for sporadic and menial pay-offs. Constantly fearful of being caught and deported, using fake identification to get along, he worries that he will forget himself, forget his own name. 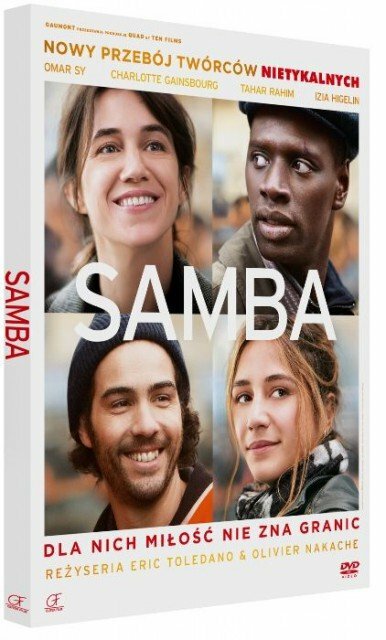 With just the right amount of humor dashed in to lighten the mood, Samba was a fairly good film and certainly one that wasn’t afraid to showcase the imperfect, but striving human being. Samba is an essentially good person who makes a mistake that he regrets. He finds solace (and a possible romance) in a friend who has made mistakes of her own. The premise for Knock sounded entertaining enough; a man impersonates a doctor, does fairly well at it (learning as he goes) and then actually goes to medical school and becomes a real doctor. He gets hired in a small village but swiftly begins to con the healthy villagers into thinking they are sick so that they will pay for expensive prescriptions and care. I think it could have been a workable premise, even comedic if handled the right way, but for me it failed to hit the mark. I know from other films that Sy’s comedic prowess is impressive, but I think the script and perhaps the overarching vision for this film were not as conducive as they could have been to the flourishing of that propensity. Knock had its moments, alright, but I felt too sorry for the villagers he was conning to continue liking the shifty doctor! Samuel (Sy) is living it up: an unattached, wild partyer for whom there are no rules. All of this changes when he is handed a three-month-old baby girl and told he is the father, watching shell-shocked as the mother of the child, with whom he shared a one night fling, makes her escape in a waiting cab. Thanks to the kindness of a new friend, he is able to build a life he never expected, parenting in his own unconventional and marvelous way. Exemplifying the mind-boggling mixture of light and deep, comedic and heartrending that Sy seems tended toward, Demain Tout Commence will not let you settle into any single emotion for long. I loved the father-daughter parts the film: the absolutely magical, over-the-top home-life that they created together (including an interesting new career for Samuel)! Like a tossed salad however, I did not enjoy all of the components of this film, especially many parts with the mother in the latter half. I could also have done without the ending, although I was suitably impressed by the filmmakers’ ability to slip it through without my expecting. Intouchables tells the true story of Driss (Sy), an ex-convict who is hired to be the primary caretaker of Philippe, a wealthy, quadriplegic aristocrat. Philippe is tired of being pitied and coddled and so intentionally chooses someone who can infuse a new life and energy into his existence. The two form a friendship that far surpasses the employee/ employer arrangement, and it becomes clear that each has something valuable to offer to the other. This film will have you running the gamut of emotions. It has a thread of sadness sewn directly through it. You will feel regret and heartache, but at times it is genuinely hilarious. In Sy’s films one can expect the fullest population of highs and lows to occupy any single feature presentation. This one comes highly recommended. Don’t like subtitles? Sy also plays Hot Rod in Transformers: The Last Knight, Barry in Jurassic World, Michel in Burnt (with Bradley Cooper) and Bishop in X-Men: Days of Future Past. He is also slated to appear in Call of the Wild (based on the novel by Jack London) later this year. First off, I applaud your devotion to your research project. Second, wow! I’ve somehow managed to miss all these films, but it seems like Sy plays quite a memorable character in each of these movies. 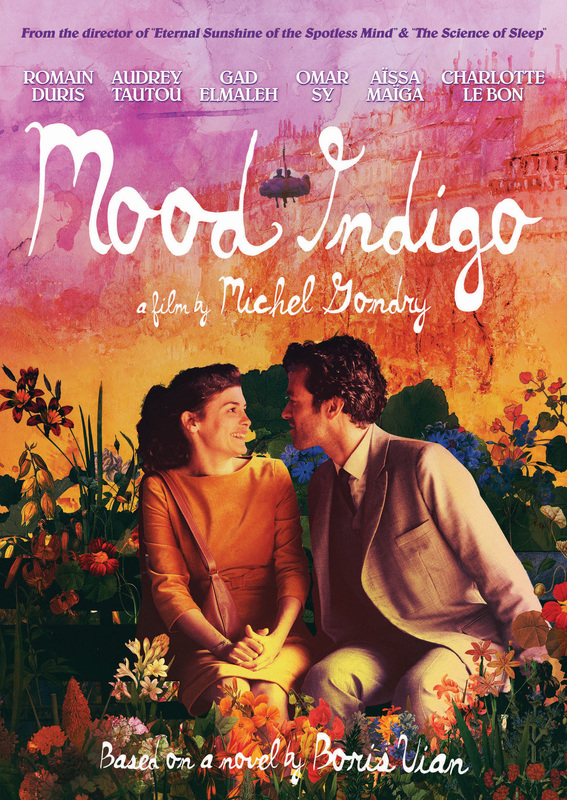 I’d love to watch Mood Indigo, especially since it’s based on L’ecume des jours (Boris Vian), which I remember liking (though also being flummoxed by) years ago in translation. The premise of Knock sounds like it has such promise! It’s too bad it took that turn; as I read your description, I was sure it was going to end with him going to medical school and becoming a real doctor. Thanks for the recommendations, Victoria! I remember coming across Intouchables years ago, and I vaguely remember it being at turns heartfelt and hilarious, but I never managed to watch the whole movie, and instead kept catching parts of it here and there. I’ll have to check it out and watch it properly – thanks! I hope you enjoy it the second time around! I love the part where Driss is shown around the house and sees the bathroom he would get to use (compared to a previous scene of him trying to take a bath in crowded bathroom with a half-sized tub). 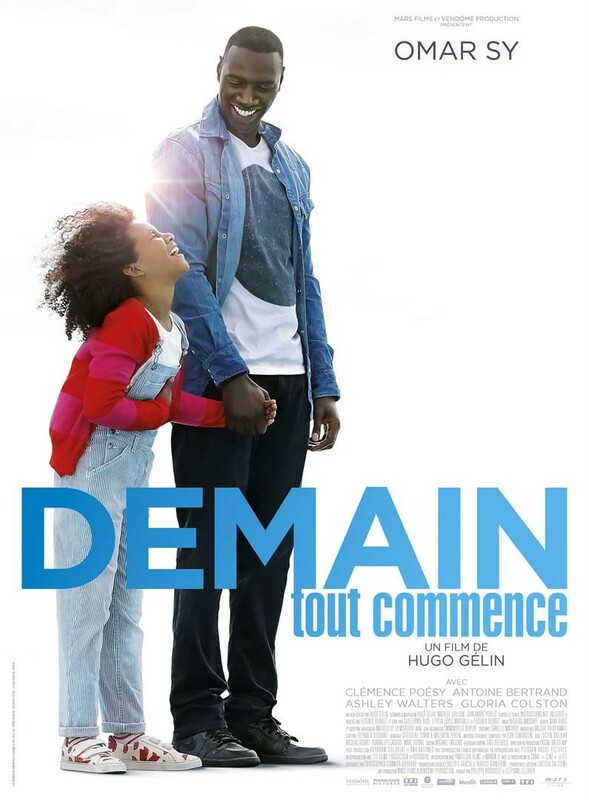 “Une minute!” Omar Sy and François Cluzet play off of each other well–they have a such good dynamic on screen, and it’s a great story.